On every production platform, plant, or facility, we want to avoid incidents, accidents, and interruptions. However, if anything occurs, we want the least amount of time to pass, before we resume production. 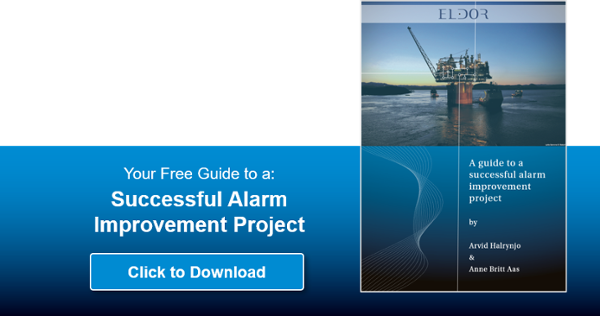 How can Alarm System Improvement contribute to achieving your goals for safe and optimum production? In short: Alarm systems need to be specified and maintained in order to ensure safe operation. 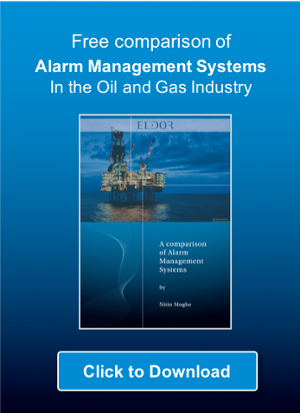 Reading tip: The cost of an Alarm in Process Control and Safety Systems. Our vision is to help our clients develop control rooms without alarms. Yes, Zero alarms! For any experienced control room operator, a control room without alarms would be a close-to-unrealistic dream come true. However, we strongly believe it is a realistic vision. 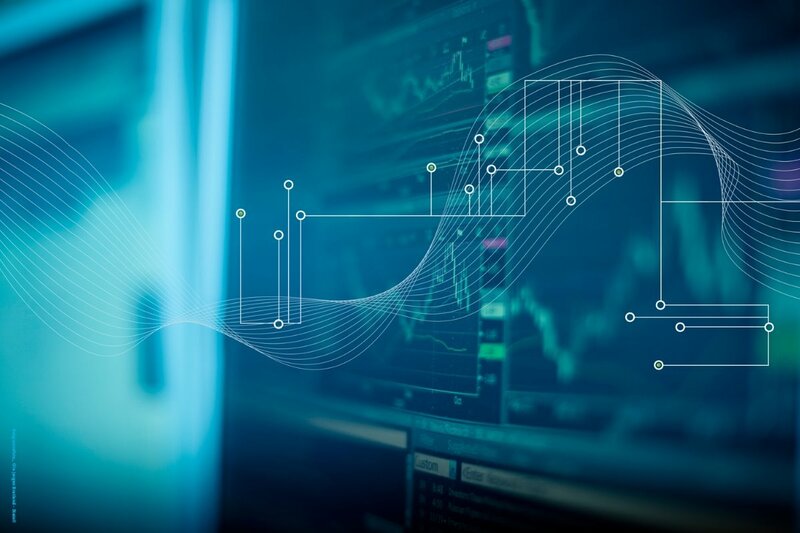 If you fancy having a look into the future, read more about our strategic development project AlarmTracker to learn how the future is getting closer, day by day. Meanwhile, Eldor works passionately to improve Alarm System Performance, and to address the challenges of control rooms today. Alarm management is important for all production sites, and in many cases, it is also a regulatory requirement. Recommended reading: Why does your production site need an Alarm Philosophy? We belive that you will acknowledge the numerous benefits of having a well-functioning alarm system, including: Proper initial configuration and KPIs for continuous improvement. What is an Alarm System Improvement project? 2. 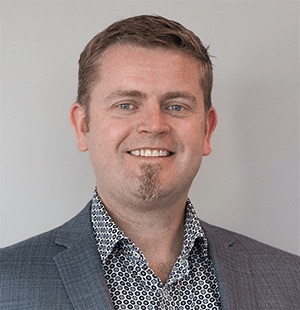 How do we approach the project? In addition, it is important to consider the need for management software. Recommended reading: Why do some Alarm Improvement Projects fail? 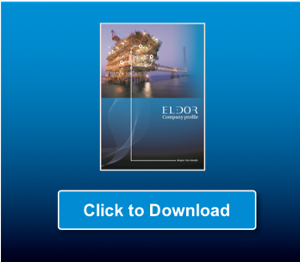 Eldor has been running alarm improvement projects for more than a decade, and have managed hundreds of workshops. We have experienced that good alarm management can be of vital importance in order to constantly improve alarm system performance. Our processes are in line with the most relevant standards such as EEMUA 191, ISA 18.2, IEC 62682 and YA711 . 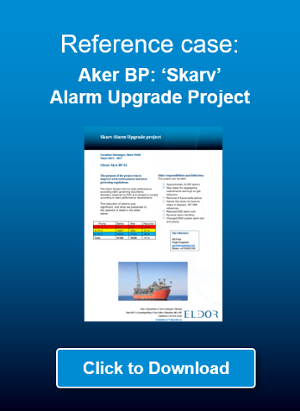 Eldor is a Honeywell Channel Partner and delivers the multi-award winning DynAMo alarm management software that may be used for any control and safety system. DynAMo supports the applicable standards, as mentioned above. Recommended reading: How can you maintain your alarms? Due to these projects highly customised nature, every project should be estimated on the basis of an initial study. In general, an initial study will require a site visit with access to interviewing operators, in order to issue a study report. Indicative cost for an initial study may typically start from NOK 25.000. Additional reading: What is the cost of an Alarm Improvement Project? Unfortunately, some alarm improvement projects fail. In order to take part in our experience, we recommend to discuss the common pitfalls and success factors with us. 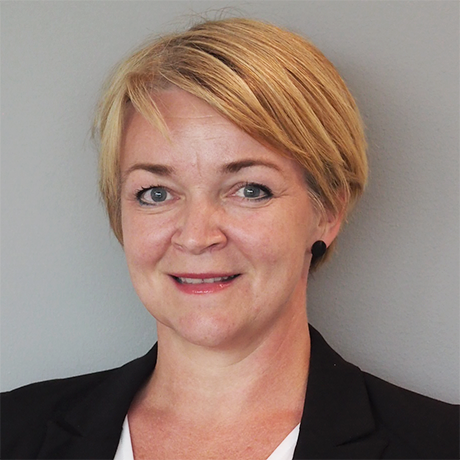 Anne Britt is the department manager for Alarm Management at Eldor AS. She has worked in the Oil & Gas Industry for 22 years, mainly within Process Control, Project Management, Control System & HMI Design and Alarm Management. She holds a Master's Degree in Process Control from the University College of Southeast Norway.